and gaps remain, but for the first time the shapes of possible unifying models are becoming clear, along with the techniques for testing these. 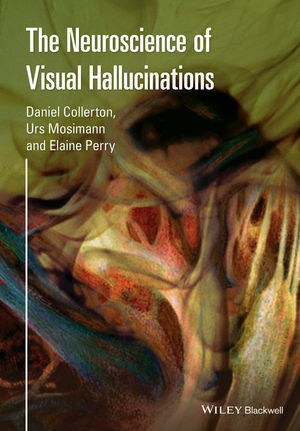 This book provides a comprehensive survey of the neuroscience of visual hallucinations and the clinical techniques for testing these. It brings together the very latest evidence from cognitive neuropsychology, neuroimaging, neuropathology, and neuropharmacology, placing this within current models of visual perception. Leading researchers from a range of clinical and basic science areas describe visual hallucinations in their historical and scientific context, combining introductory information with up-to-date discoveries. They discuss results from the main investigatory techniques applied in a range of clinical disorders. The final section outlines future research directions investigating the potential for new understandings of veridical and hallucinatory perceptions, and for treatments of problematic hallucinations. Fully comprehensive, this is an essential reference for clinicians in the fields of the psychology and psychiatry of hallucinations, as well as for researchers in departments, research institutes and libraries. It has strong foundations in neuroscience, cognitive science, optometry, psychiatry, psychology, clinical medicine, and philosophy. With its lucid explanation and many illustrations, it is a clear resource for educators and advanced undergraduate and graduate students.